The accessory was delayed by "product-development challenges" which have since been rectified, the Wall Street Journal said, citing anonymous sources. No further explanation was offered, but in September 2018 a report said a launch would be delayed until spring because of heat and interference issues. Wednesday's report was tacked on to the end of the AirPods refresh announcement, by the Wall Street Journal. 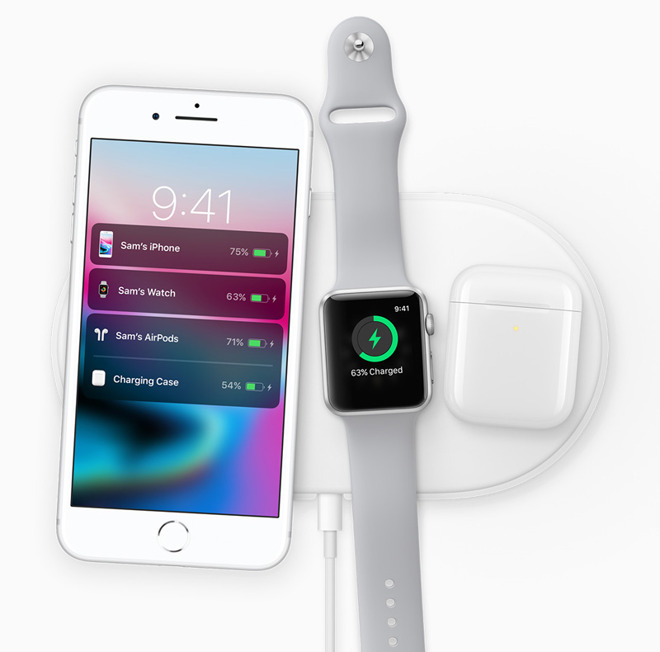 At present, it isn't clear if the "sources" cited in the story for the AirPower charging pad's imminent release are new, or a reiteration of the report that circulated earlier in 2019 saying that Apple was manufacturing the devices. A spring 2019 launch is backed up by multiple reports, including a memo by well-connected TF International Securities analyst Ming-Chi Kuo. This week has also seen a string of surprise Apple releases, including new AirPods with a wireless charging case, updated iPad Air and Mini tablets, and a refreshed iMac lineup. It might make sense then for Apple to launch the AirPower later this week, clearing the slate ahead of a March 25 press event. That gathering will focus mostly on a long-anticipated video streaming service, as well as paid Apple News subscriptions. A wireless charger does consume electricity when not in use, but the amount of lost energy per year is roughly the same as a single charge to an iPhone. Even so, green organizations should despise wireless chargers and give Apple some flak for introducing it. Odd that it didn't come out today, but there's still tomorrow ... or Friday ... or the March 25 event! Yeah no. You have power bleeding out of your eyeballs at home and accept it. It’s true inductive chargers are less efficient but it’s still a valid use case. Just like flying in a fast jet is a valid use case, despite the increased use of expensive jet fuel. We all use energy in different ways. Some things in the way I live are likely more efficient than the way you live, and vice versa. The energy lost per year is equal to one single iphone charge? And you feel that anyone should care, let alone "despise" this? Too late, you already spouted irrational nonsense, injecting your social-political agenda where it was not needed nor wanted. As to your claim that SJW are illogical, that's just unsubstantiated nonsense. It's akin to me saying whoever-voters are mouth-breathing gamer-gate dough-boys. That's opinion, not a statement of fact at all. It's like saying "Strawberry ice cream is the best." Pretty worthless, as far as statements go, really. Lol. What? You realize you make no sense right? My comment was addressing a prime example of illogical SJWs. Also, I’m flattered that you seem pretty obsessed with me, always mentioning me “quitting AI” or something, but I think it would be healthier for you to focus on yourself. Since you keep asking.. I never said I was going to quit, just unsubscribe to the $10/year ad free app, which I did. I'm going out on a limb, and saying they won't announce it on Monday. Monday is going to be all about TV and services, and the Air Power doesn't fit into that. Maybe, just maybe, it will come out in the next few days in a manner similar to the hardware refreshes so far this week, or it will come out at a later hardware event. I think an event is more likely, as it is a new line of hardware, but not at the TV event, and not at an event of its own. This will work perfect for my green project involving solar power. SJWs are waging war against inductive recharging? I dunno about that. Updated iPod tomorrow (Thursday), and Airpower on Friday.